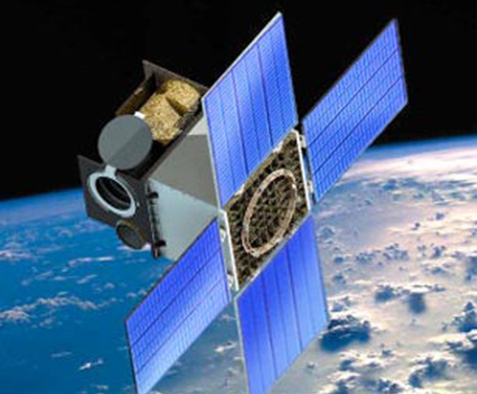 ALEXANDRIA, VA — The Office of Naval Research has selected Space Systems Research Corporation (SSRC) of Alexandria VA to lead the systems engineering effort for the J-MAPS mission. SSRC has teamed with QinetiQ North America (QNA) of McLean, VA and Research Support Instruments (RSI) of Lanham, MD to provide varied programmatic and technical expertise to support the ONR Ocean Battlespace Sensing Science and Technology Department’s Joint Milli-Arcsecond Pathfinder Survey (J-MAPS) Program Office. SSRC and team members will provide services and support varied, evolving tasks as directed by ONR. These include but are not limited to tasks such as: providing technical expertise, fully supporting the development of program investment strategies, preparing acquisition documentation, preparing test plans and execution plans, tracking financial allocations, commitments, obligations and expenditures, and preparing draft briefing materials, reports and public release correspondence. The JMAPS (Joint Milli-Arcsecond Pathfinder Survey) is a Department of the Navy (DoN) space astrometry mission, approved for flight. JMAPS is an all-sky, bright-star astrometric and spectrophotometric survey. The primary goal of the mission is to completely update and expand the bright star catalogs currently used by Department of Defense (DoD), NASA and civilian sensors for purposes of attitude determination. Secondary goals include the development and flight of cutting-edge hardware that will benefit future attitude sensing and imaging applications. In addition, the instrumentation developed to collect stellar catalog data will also demonstrate unprecedented attitude determination capabilities, useful to future advanced applications. JMAPS is currently under development, with the program office at the Office of Naval Research (ONR); the Principal Investigator and ground data processing activity at the US Naval Observatory (USNO); and the space, downlink and mission operations, and launch segment activity at the Naval Research Laboratory (NRL). The SSRC team will provide assistance on technical, programmatic, and operational matters for the J-MAPS program based on its recent experiences in NASA’s Sun Earth Coronal and Heliospheric Investigation (SECCHI), DoD’s HICO and RAIDS Experiment Payload (HREP), and other optical imaging projects involving major contributions from multiple institutions. SSRC has led or supported all aspects of these successful programs including design, development, fabrication, calibration, integration, test, launch, and on-orbit operations. In addition, our team has extensive experience performing inter-institution liaison activities where our primary responsibility was maintaining lines of open communication between major team partners. SSRC was selected based on core competencies and prior working relationships. Proven experience and pre-existing relationships make SSRC uniquely qualified to support the needs of the J-MAPS program.